I have one of his pipes, a big one, and it is a fine smoker. These look great! I think the links I posted may be dead until the listings go live. They go live within 2 hours from now. They are great pipes. I enjoyed smoking these two. Good looking and well engineered. The squat bulldog was a birthday gift from my wife so I feel a bit guilty letting it go but it seems a shame for it to sit in a box and not be smoked. Your wife bought that for you, you definitely should hold on to that one even if you don't smoke it. I agree, but I have a few pipes that I was bought by her and a really flash pipe bought by my ma. I can't keep them all. My lady seems okay with me selling the pipes she bought for me but I think she'd prefer that they got what they're worth. 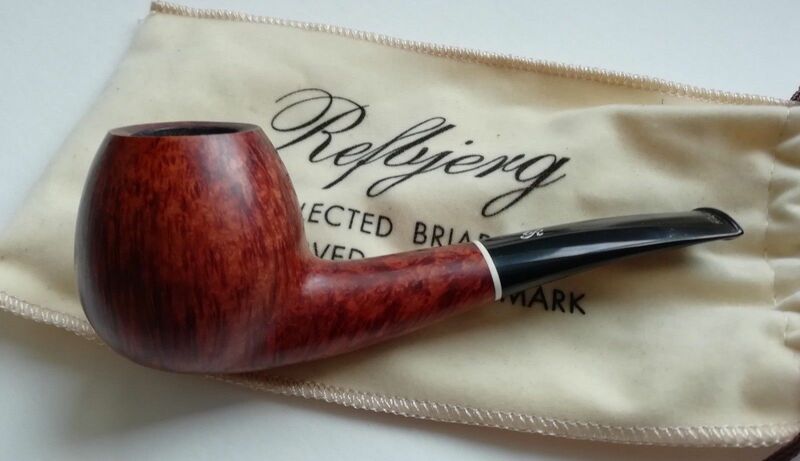 I think if you close that window, open a new window, log into your eBay acount and then search for his pipe... it auto calculates in USD. I noticed that in mine, anyway. Either way, if you started to submit a bid I think it also auto-calculates your cost in USD simply because your account is US. Don't quote me on that.